NF (6237) - More than a week, everyday repeatly posted here, hurdle 6334-6344. Almost last four days it attacked that level and unable to move beyond that, so the correction is now going on.. as posted in the previous posts, now it going to take support at 6192-6172. but in case if not take support here, then fall continue to 6110-6090. Now upside hurdle at 6250 and beyond that 6334-6344. 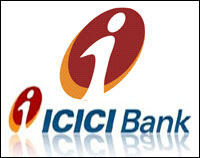 ICICIBANK (1237) - Below 1240-1250 come down to 1210 and after that 1160_1140.